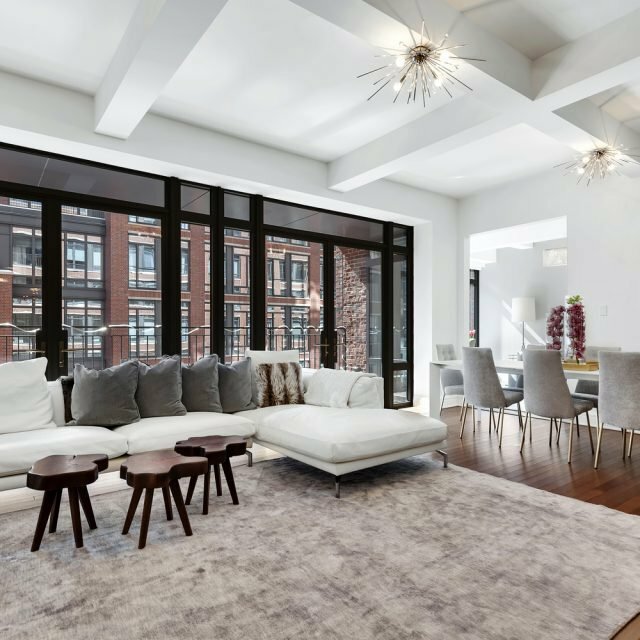 New Yorkers often pride themselves on their busy schedules, constantly running from one thing to the next, and for the brave souls who also have children, life in the big city is even more complicated. Well, tired parents, have we got the thing for you. 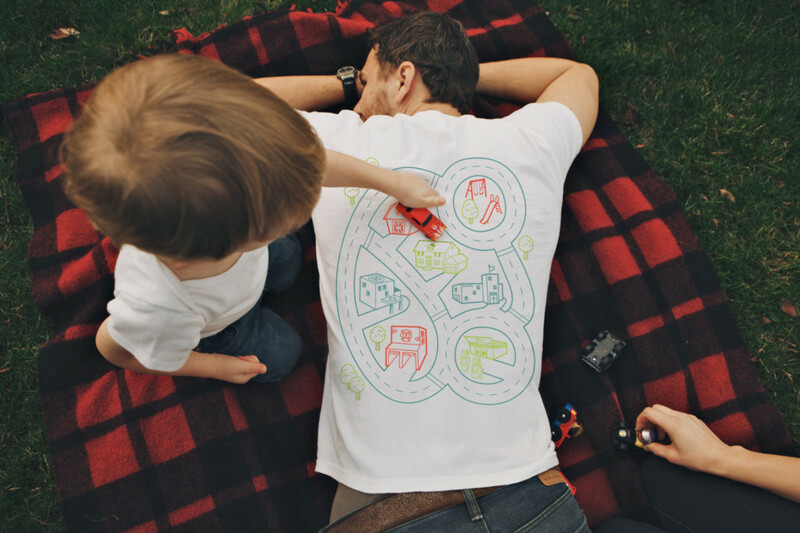 This awesome t-shirt comes complete with a toy car-sized roadmap on the back, so you can entertain your kids and get a back massage at the same time! 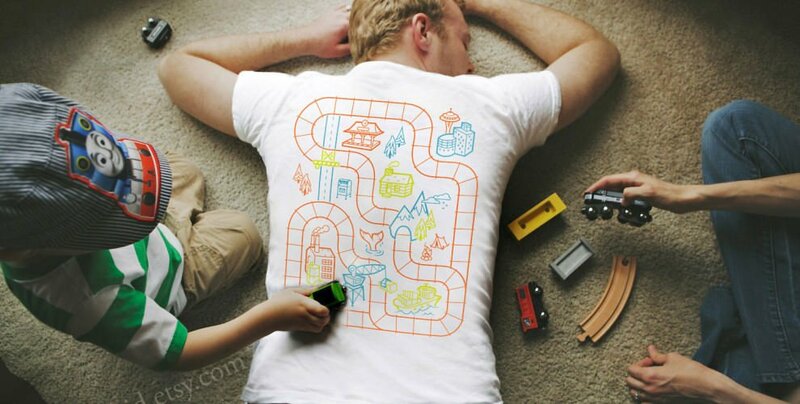 Made by bky kid, this cool shirt comes in a variety of routes and colors. Plus, they’re also available in kid sizes, so when you’re not having your little ones work out your knots you can just look adorable in your matching threads. 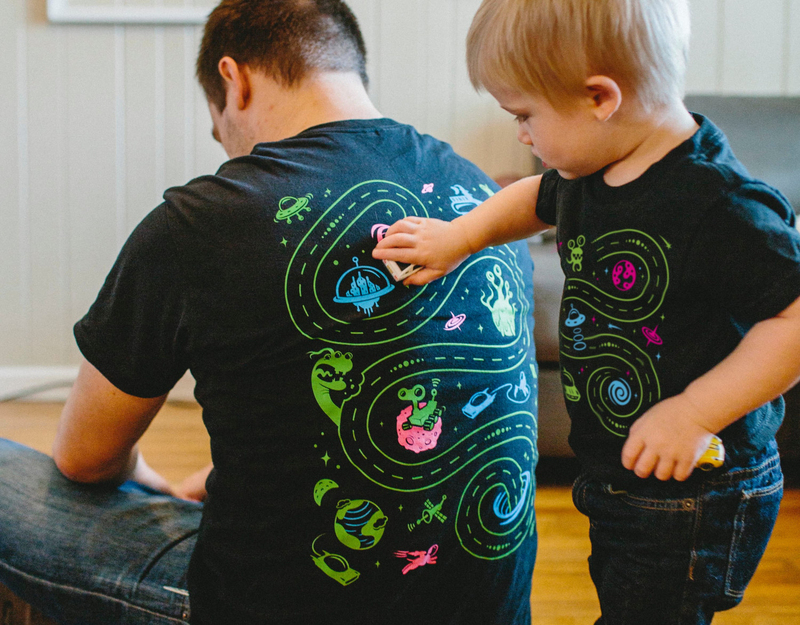 You can check out all of the options and purchase a road map tee for yourself on bky kid’s etsy shop.